If you’re looking for a way to earn some extra income and you have a bangin’ logo or phrase that would look wonderful on products - you REALLY need to consider PRINTFUL. Normally you would need to pay for set up charges on each item and order them in bulk (and in every damn size if its t-shirts - think S, M, L, XL, XXL, XXXL) then you have to store them somewhere (that hall closet is already packed). Then you need to set up an online store with all the credit card accepting gizmos and you gotta make it look purdy and when someone actually buys something you have to package it and head to the dreaded post office to ship it out to your customer. Just reading that has your head spinning, right?! Fear not my budding Entrepreneur. There IS hope. And its called PRINTFUL. The simple Print on Demand Service that allows you to have a lot of products with NO overhead, no need to store in your hall closet and the quality and service is AMAAAAAZING. 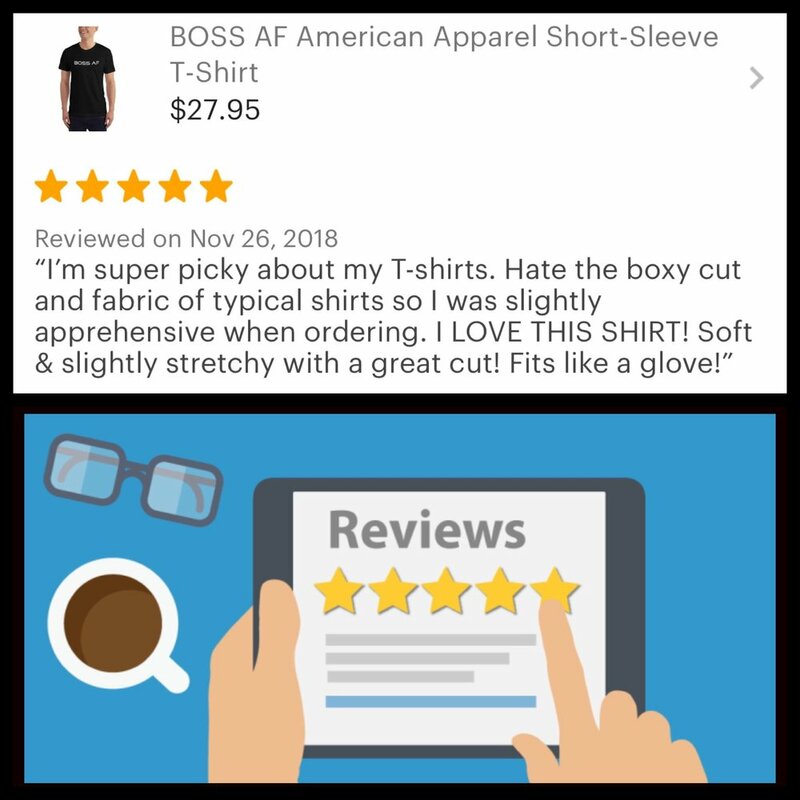 Below is just one of many positive reviews I have received from my BOSS AF STORE (created with Printful and hosted on Etsy) and as you can see my customers are HAPPY AF. I will tell you this…setting up my own store with high quality products (T-shirts, Baseball and Trucker Hats, Sweatshirts, Beanies, Beach Towels, etc) took so little time and is so easy I am telling everyone about it! 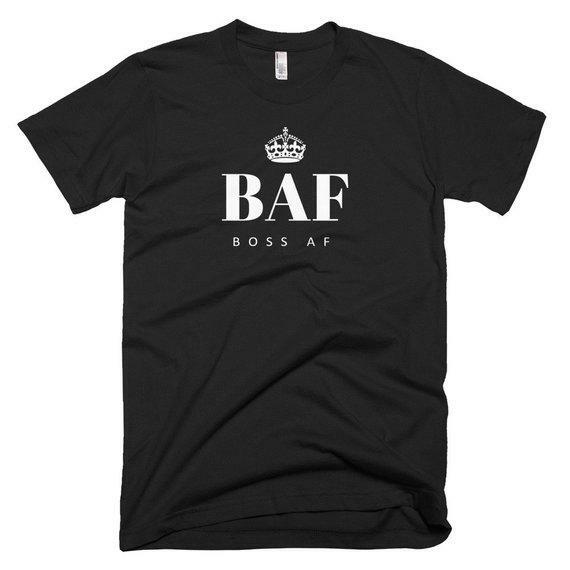 If you want to check out all of my products to give you an idea of what to offer take a look at MY STORE or click on the BOSS AF T-Shirt image below. The best news about using PRINTFUL? There’s NO MINIMUM ORDERS, you get a MOCKUP GENERATOR along with QUICK SET UP and all items are made of HIGH QUALITY materials. Plus you get awesome CUSTOMER SUPPORT along with QUICK DELIVERY — oh and it’s all FREEEEEE! Now that I’ve walked you thru the basics of this MUST HAVE for gaining extra income or as an enhancement to your existing business or service, do you want to GET STARTED? JUST CLICK HERE >>>> TO START MAKING YOUR PRODUCTS TODAY AND START EARNING EXTRA INCOME!